Aren't these cookies almost too gorgeous to eat?!? I'm completely in love! 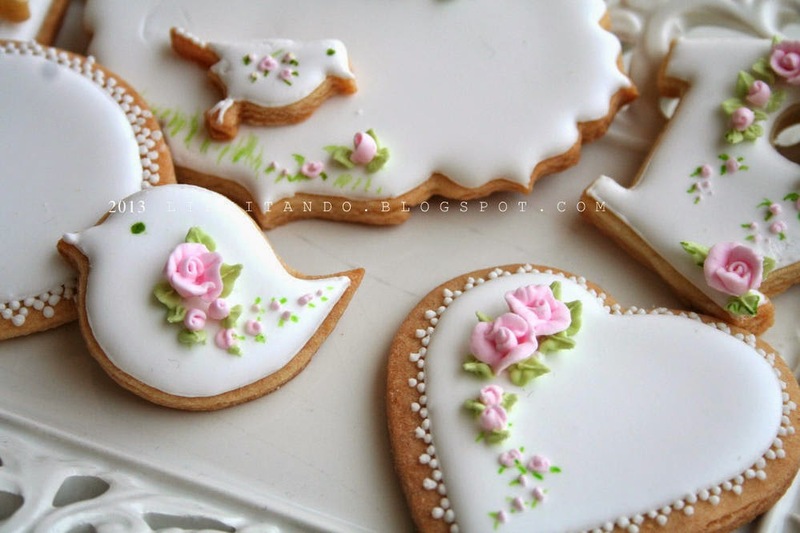 They'd be perfect for a bridal shower or tea ~ I just love the detail on the flowers and the edging on the heart-shaped cookie. Via Cookie Connection and Roselline di Ghiaccia. Featured in a Wonder Woman Treasury on Etsy!